Every year when the leaves start to turn we find ourselves wanting to make a farm pilgrimage with the kids to visit a pumpkin patch and mark the harvest. Farmers all over the region oblige our collective need by carving intricate mazes into their cornfields and offering hay rides out to the pumpkin fields. This list is big! It's organized by region. First, find 10 Snohomish County pumpkin patches, then nine Eastside and South King County-area pumpkin patches. 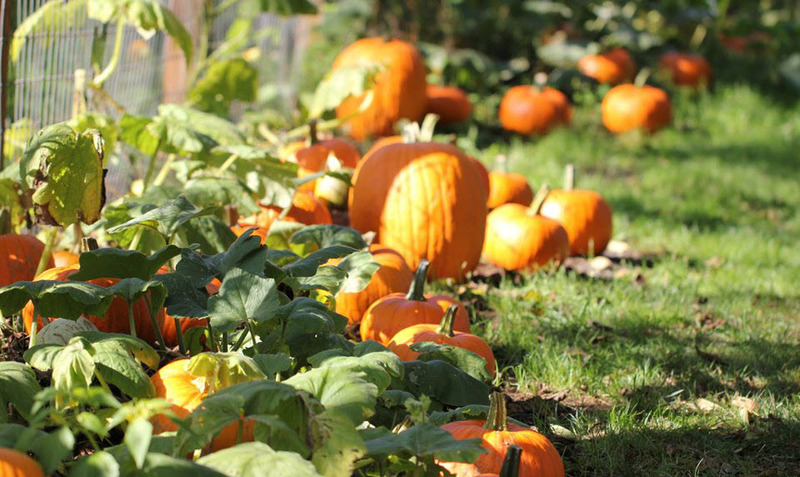 For even more pumpkin-picking options, check out our South Sound pumpkin patch picks. 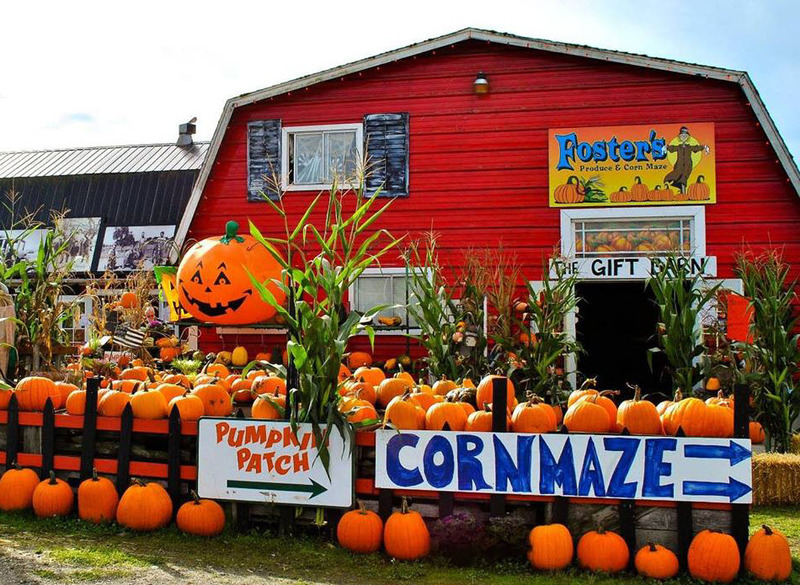 Known for: Huge pumpkin patch, corn maze and "Stalker" Farms night maze. Patch action: Starting in October, this Snohomish County farm is open daily. Grab a wagon and head into the fields or choose from pre-sorted pumpkins on the lawn. On weekends, head across the street to the Family Adventure Farm, featuring a 10-acre corn maze, pumpkin cannon, jumping pillow, hayrides, animal barn, crafts, rubber duck races, face painting and other activities. This year's maze theme all about honoring local heroes and showcasing the impact their selfless acts have had on the community. New this year on select weekends is the Stocker Farms first ever Sunflower Jubilee; U-pick sunflowers of all varieties and fabulous flowery photo ops! For older kids looking for a scare, there’s Stalker Farms, which has two walk-through haunt experiences and a Zombie stalker paintball ride. This is the ultimate horror attraction and only recommended for brave 12-year-olds and up. Dates and hours: Pumpkin patch open starting Saturday, Sept. 29. The Family Adventure Farm is open Tuesday–Sunday starting Sept. 29, 10 a.m.–6 p.m. Night Maze open beginning Oct. 6. Check Facebook page for updates. The Sunflower Jubilee is Oct. 6–7 and Oct. 13–14. 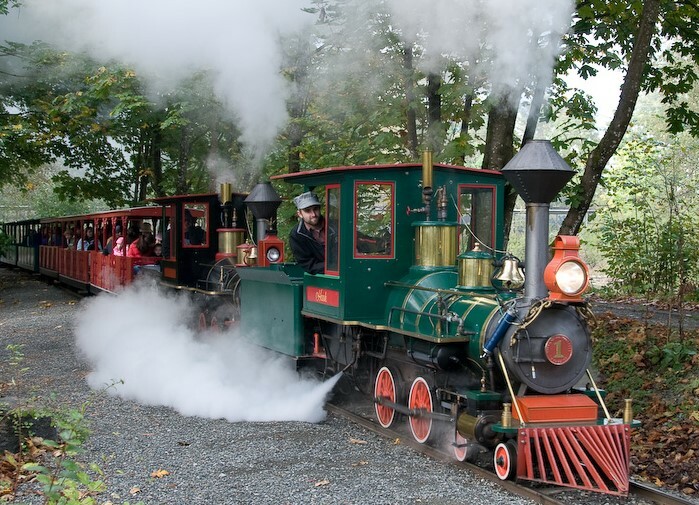 Location, cost and details: 8705 Marsh Road, Snohomish; 360-568-7391; Family Adventure Farm mid-week admission is $10.95/person; weekend admission is $14.95/person; ages 2 and under always free. Entry to just the pumpkin patch is free; pay only for pumpkins. Corn Maze is $21.95/person. The Sunflower Jubilee is $19.95/person which includes a u-pick sunflower bouquet. Save by buying tickets online. 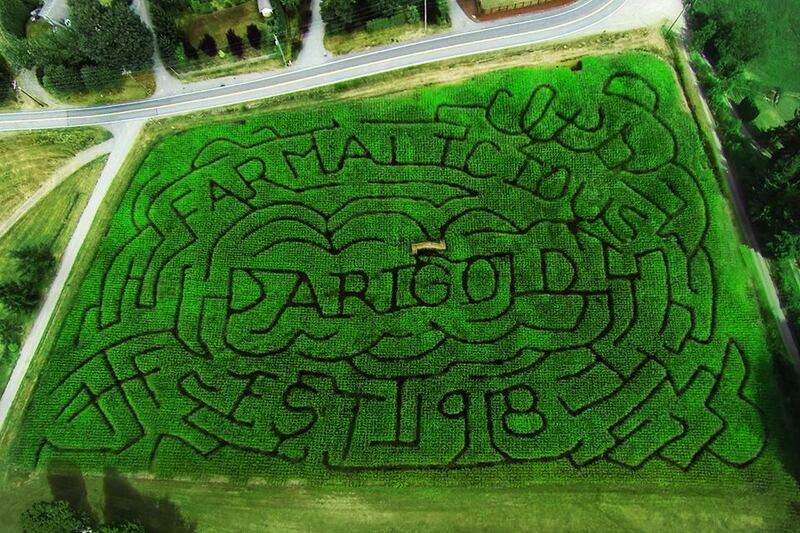 Known for: Overall fantastic farm with fun play area for the littles; big- and small-sized corn mazes. Patch action: Named Washington State's best pumpkin patch by "Readers Digest," this farm is justifiably very popular, especially with younger kids. The farm market area doubles as a play area with vehicles, tractors and pirate ships to climb on; there is also a snack bar open on weekends and picnic tables. Pick some pumpkins in the field, get lost in the 15-acre corn maze that's themed Alice in Pumpkinland, take a hayride through Minionville and visit the farm animals. Also check out the new Adventure Maze, complete with an obstacle course and farm-related trivia! Select Fridays in October check out the Night Owl (non-scary) Corn Maze. Dates and hours: Open daily, Sept. 22–Oct. 31, 9:30 a.m. to dusk (6:30ish). Hayride, apple slinger, face painting, Snack Shack and Espresso Shop are open on weekends only. Night Owl Maze open from 6–9 p.m. on select nights in October. Check Facebook page for updates. Location, cost and details: 13817 Short School Road, Snohomish. 360-568-2601. Admission is free; corn maze $8 (age 2 and under free); adventure maze $7; Night Owl corn maze $15; duck races $3 per duck; hayride $6; apple slinger $0.75 each; minigolf and human foosball $5. New supersaver wristbands available this year, $10–$20. Known for: Washington State corn maze and huge play area. Patch action: Another Snohomish farm that has it all, from its Washington State Corn Maze — a 12-acre map of the state that shows actual roads, places and towns — to wagon rides, a "cow train", a large petting zoo and a playground. And, of course, pumpkin-picking in the 45-acre pumpkin patch. The Farm also has U-pick apples, and on weekends there are plenty of mouth-watering fresh baked goods. Insider tip: The Farm at Swan's Trail has private rooms popular for birthday parties. Dates and hours: Open from Sept. 29–Oct. 31, noon–6 weekdays and 10 a.m.–6 p.m. on weekends. (Due to field-trip scheduling call ahead for availability on weekdays). Check Facebook page for updates. Location, cost and details: 7301 Rivershore Drive, Snohomish; 425-334-4124. Parking and admission is free and includes Pig Show, Duck Race & Petting Farm. The corn maze is $8 on weekdays and $10 on weekends (ages 4 and under free); play passes range from $8–$18 (adults and ages 2 and under free for the Children's Play Area). Known for: Reservable firepits in the corn maze, kid mazes, tasty snacks. 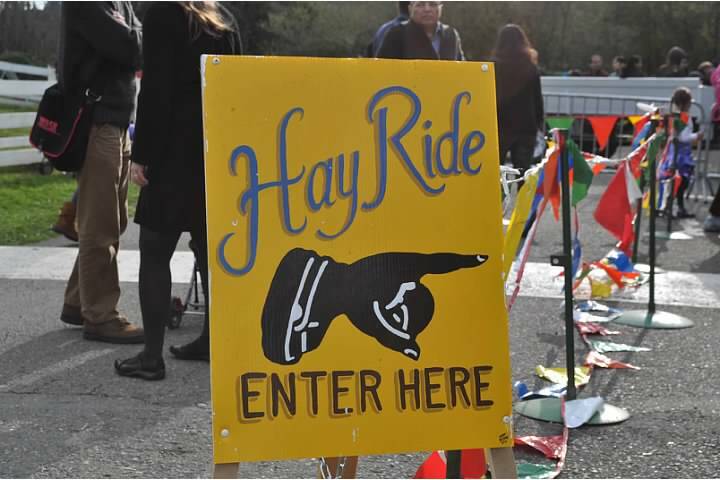 Patch action: A free hayride takes visitors through the 30-acre pumpkin patch and amusements include corn pit, slides, farm animals, face painting and an apple cannon (not all activities available during the week). Pick a pumpkin from the large U-pick field and buy harvest-themed farm goods such as corn stalks and gourds, all GMO-free. There are two corn mazes: a 10-acre corn maze, where your group can reserve a fire pit for hours of fun (they will build and maintain the fire for you as well as transport any roasting sticks and supplies you bring), and two smaller mazes for the little ones. Dates and hours: Maze opens Sept. 8, pumpkin patch open from Sept. 22–Oct. 31, 10 a.m. 'til dark. Day maze open daily 10 a.m.–6 p.m. Nighttime maze (non-scary) open Fridays and Saturdays in October, from 6–10 p.m. (reserve a fire pit!). Activities limited on weekdays. Check Facebook page for updates. Location, cost and details: 10917 Elliott Road, Snohomish, 360-668-2506. Admission to the pumpkin patch (including hay ride, trike track and play area) is free; day maze $10, $50/family: 24 months and under free. Night maze is $15, $75/family; ages 2 and under free. Cow train is $3/ride; apple cannon is $2/shot or $10 for 10 shots. Combo package wristbands available for multiple activities $10–$20. Military and group discounts available. Known for: Fun for younger kids, including a kids' corn maze and zip swing. Plus pumpkin cannon! Patch action: This year's 4-acre maze is a puzzle of trails in which you play two games at the same time! One is Farm Scene Investigation (FSI, a Carleton favorite) where you try to find the missing Farmer Joe. The other, new this year, is a Mariners trivia game. Check the website for upcoming details! Also enjoy the maze by night (non-scary) on certain nights in October; be sure to bring your own flashlight! On weekends, enjoy a zip swing and slides in the Kids Korral, shoot the pumpkin cannon, and take hayrides or bucket train rides. Teens and adults looking for a thrill may want to check out Carleton's Fright Farm Friday and Saturday nights. Scary attractions include Zombie Paintball, Zombie Farm and the Haunted Swamp. Purchase tickets online and choose your desired timeslot. Dates and hours: Open daily, Sept. 29–Oct. 31, 10 a.m.–6 p.m., last day maze entry at 5 p.m. Extended activities on weekends. Night maze (fire pit rentals available) open Friday–Saturday nights in October, 7–9 p.m. The Haunted Swamp, Zombie Farm and Zombie Paintball are open Friday–Saturday nights in October (and also the Sunday before Halloween and Halloween day). Location, cost and details: 830 Sunnyside Blvd. S.E., Lake Stevens, 425-334-2297. Admission and parking are free. Corn maze $8 (3 and under free); Zipline wristband $11; Kids Play wristband $12; night maze $14; Fright Farm attractions $14–$21 (combo packages available). Pumpkin cannons $2–$3. Check website for pricing updates. Known for: Zombie paintball, haunted hayride (! ), monster truck rides, kiddie paintball and more. Patch action: On weekdays, you can pick a pumpkin but on weekends you can hop a free hayride or play in Kid Land, with rubber duck races, putt-putt golf and a hay maze. Other daytime activities include: monster truck rides, gem-mining, kids' paintball blast and an apple cannon. There is a 3-mile treasure hunt corn maze as well as a .3 mile corn maze for younger kids. Or explore the maze at night with flashlights (non-scary). This farm, however, may be the place to take horror-loving teens, as it is home to the Zombie Paintball Safari Hayride, and the Nightmare on 9 haunted house. Dates and hours: Opening Saturday, Oct. 6 and open weekends in October, 10 a.m.–6 p.m. Nighttime hours are Thursdays and Sundays, 6–10 p.m. starting Oct. 14, and Fridays and Saturdays, 6 p.m.–midnight, starting Oct. 6. Also open Halloween night from 6–10 p.m. Check Facebook page for updates. Location, cost and details: 9010 Marsh Road, Snohomish, 360-568-6945. Kid Land admission $7; ages 2 and under free, parents free; Treasure Hunt corn maze $7; kids' corn maze $3; other daytime activities $3–$8. Flashlight maze $14; Zombie paintball $22, (timed tickets available online or at ticket booth), Nightmare on 9 haunted house tickets can be purchased in a combo package for $30–$36 or as single tickets on site or online for $10–$20. Discount weekends include Grandparents weekend (Oct. 6–7) and Service weekend (Oct. 13–14). See website for details. Known for: Dog-friendliness — dogs on leash, only. 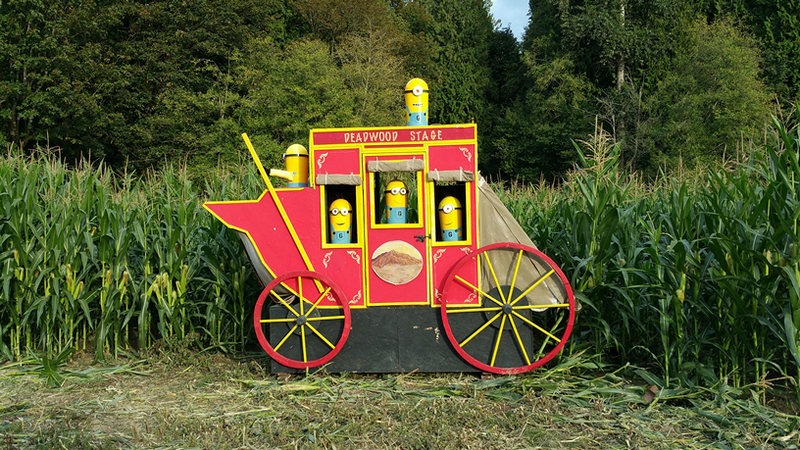 Patch action: Join Gary and Julie Biringer for their annual pumpkin patch and corn maze, featuring a pet-friendly pumpkin patch, 5-acre corn maze, free trolley rides to U-pick pumpkins, kiddie hay maze, slides, covered wagon for picnics and skeleton graveyard. Local honey, cider, apples and fresh corn (seasonal) available. “After Dark” Corn Maze is available for private groups of 50 or more and must be booked in advance. Dates and hours: Open daily Sept. 29–Oct. 31. Monday–Friday, 11 a.m.–6, p.m.; Saturday and Sunday 10 a.m.–6 p.m. Night maze by appointment only. Location, cost and details: 2431 Hwy 530 N.E., Arlington, 360-435-5616. Admission free (includes covered wagon and trolley rides, pumpkin bowling and kiddie hay maze). Call for further pricing details; family passes and group rates available. Known for: Funny goats, large pumpkin patch. Patch action: This fourth-generation, family-owned farm features a 10-acre Wizard of Oz–themed corn maze and huge U-pick pumpkin patch and goat walk open daily. 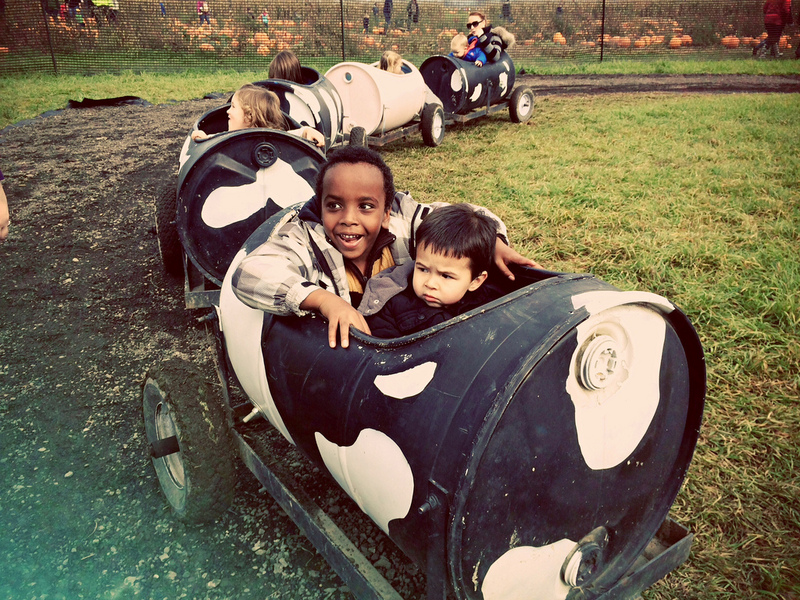 Weekends, enjoy cow barrel train rides, pumpkin cannon blaster, pumpkin slingshot and more. Hit the target on the slingshot and receive a free ice cream cone! Dates and hours: Corn maze and patch open daily Oct. 1–31, 9 a.m.–5 p.m. (last admission to maze is at 4 p.m.) Farm Market open daily starting September 15th. Most activities Saturdays and Sundays only. Check the Facebook page for updates. Location, cost and details: 5818 SR 530 N.E., Arlington; 360-435-6516. Corn maze $6 (ages 3 and under free); pumpkin cannon $2/shot or $10/10 shots; pumpkin slingshot $2/3 shots; cow train $4. Activity bundles available on weekends. Known for: Tons of U-pick veggies, including pumpkins, and simple farm fun. Patch action: This 100+-year-old family farm features simple farm fun. There's a great pumpkin patch plus loads of veggies to pick, including Red Jonagold apples to pick Sept. 29–30! Bailey Farm does not have a corn maze in there's a free play area with a hay climb, rope swing, trikes, toy tractors and a sandbox. Dates and hours: The pumpkin patch is open daily beginning Sept. 29, 10 a.m.–5 p.m. daily. Turn up on weekends for activities, including free hay rides and cider and kettle corn for purchase. Location, cost and details: 12711 Springhetti Rd., Snohomish; 360-568-8826. Free entry to farm; pumpkins and other produce for purchase; snacks for purchase. Known for: Barnyard experience for tots — kids might even view chicks hatching! Patch action: Another experience geared to younger kids, this rustic farm offers rough paths and barnyard smells, and the kids can get their fill of baby animals to watch, feed and pet, including chicks, ducklings, goats, ponies, rabbits and pigs. There is also a U-pick pumpkin patch, tiny tot "maize maze," the Hidden Bear Trail to Pumpkin Land and a hay tunnel. Dates and hours: Open weekends in October, 10 a.m.–5 p.m. Locations, cost and details: 15308 52nd Ave. W., Edmonds. 425-743-3694. Admission $3/person (ages 10 months and up). Parking is free. Cash only; no credit/debit cards accepted. Known for: Affordable fun, horse-drawn hayrides out to the pumpkin fields; awesome organic pumpkins and other gourds; and a pumpkin trebuchet (catapult). Patch action: Jubilee Biodynamic Farm grows organic produce and celebrates fall with lots of free harvest activities including its now-famous trebuchet — a giant pumpkin catapult. Take a hayride out to the U-pick pumpkin fields, buy lunch or hot cider in the concessions area, visit the farm animals and do a kids' hay maze in the barn loft. Dates and hours: Open weekends in October, 10 a.m.–5 p.m. Check for updates on the Facebook page. Location, cost and details: 229 W. Snoqualmie River Road N.E., Carnation. 425-222-4558. Admission, parking and most activities free. No pets allowed, please. Patch action: Remlinger buzzes with activity during its Fall Harvest Festival weekends in October. Take a wagon ride out to the U-pick pumpkin fields, shop in the farm market and explore the corn maze. Head to the Family Fun Park for entertainment (watch popular entertainer Cyndi Soup in the Farm Theater) and more than 25 rides from a small (but thrilling) roller coaster to a tot-size ferris wheel to pony rides, antique pedal car rides and more. Kids can also climb on tractors and an old school bus, scale a fort and do a hay maze (or just jump in the hay). There are lots of picnic spots at Remlinger, but you're supposed to buy food on the premises — there is a snack bar and full restaurant. Dates and hours: Fall Harvest Festival runs Sept. 29–Oct. 28, on weekends 10 a.m.–6 p.m. Find updates on the Facebook page. Location, cost and details: 32610 N.E. 32nd St., Carnation, 425-333-4135. Free admission to pumpkin patch. Fall Harvest Festival Park admission $22.50 (under age 1 free). Check website for details; discounts for seniors and disabled persons. Known for: Sustainably grown pumpkins, Living Playground and Kids' Farm. Patch action: Oxbow isn't just a farm, it's a sustainable education center that stars in both farm fun and education. Pick up pumpkins, including many lovely varieties for cooking and baking, shop for organic produce, take a hayride, take a kids' tour of the farm and try the scavenger hunt. Some activities have fee, payable by "magic bean." Buy magic beans on site. Dates and hours: Farm and pumpkin patch open Oct. 4–28, Thursday–Sunday, 10 a.m.–5 p.m. Oxtober Pumpkin Festival weekends Oct. 7–29, 10 a.m.–5 p.m. Check Facebook page for updates. Location, cost and details: 10819 Carnation-Duvall Road N.E., Carnation. Use the west entrance and follow these directions as Google will mislead you. 425-788-1134. Admission free; select activities have fee. Licensed service animals only. Known for: Miniature donkeys and other farm animals. Patch action: You have to make an appointment to visit Baxter Barn, a local farm focused on sustainable farming practices, but it's well worth it. Kids will love seeing the horses, mini-donkeys, chickens, pheasants and quail. In October, beyond picking pumpkins, you can take a tractor ride, buy certified salmon-safe eggs and take a learning tour of the farm. Call to make an appointment. Dates and hours: Tours are generally available between the hours of 10 a.m.–4 p.m. Tuesday–Saturday throughout October. Call to make a reservation 425-765-7883. See website for more details. Check Facebook page for updates. Location, cost and details: 31929 S.E. 44th St., Fall City. 425-765-7883. Tours by appointment. $8/person, including visits with the animals (petting the miniature donkeys is a special treat). Minimum $24. Tractor rides are extra. Note: onsite parking limited to three cars. Known for: Cider press and glassworks display. Patch action: Bring your kids to watch cider being pressed and doughnuts sizzling. Meet the cows and donkeys, enjoy a wagon ride, pick a pumpkin from the patch, then check out the autumn-themed glassworks display by Made in Washington. Dates and hours: Fall City Farm is open Sept. 29–Oct. 28, Fridays 10 a.m.–6 p.m., Saturdays 9 a.m.–6 p.m., Sundays 9 a.m.–5 p.m. Check Facebook page for updates. Location, cost and details: 3636 Neal Road, Fall City. 425-246-5249. Free entry, with produce and other fall food for sale. Known for: Petting farm, tractor rides and pony rides. Patch action: This well-groomed farm in Issaquah is a guaranteed hit, especially with younger kids. Its popular Fall Festival includes a pumpkin patch, ATVs and race track, corn bin, pony rides, hay maze, inflatables, a haunted forest trail and bonfires with s'mores and concessions including the recently added Espresso Cafe. Come in costume for trick-or-treating. New this year is a good ol' hayride and pumpkin bowling! Starting the end of September, you can also bring your kids to watch the salmon running up the creek. Dates and hours: Open Wednesday–Sunday, Sept. 28–Oct. 27 (closed Oct. 4). Weekdays from 10 a.m.–3 p.m. and weekends from 10 a.m.–4 p.m. (Sunday, Oct. 7 early closure at 1 p.m.). Purchase advance tickets online as they tend to sell out. Special Halloween Carnival on Oct. 27 from 10 a.m.–2 p.m. Check website calendar and Facebook page for updates. Locations, cost and details: 12031 Issaquah-Hobart Road S.E., Issaquah. 253-459-9095. Weekend admission $50 for a car with up to seven people. Weekday admission — Wednesday–Friday — is $10 per person (under age 1 free). Admission includes all activities except the new hayride which is an additional $4. Known for: Fab and free fall festival; farm animals to see all year-round. Attractions: This city farm hosts the very popular Kelsey Creek Farm Fair on Saturday, Oct. 6. Kids can check out the goats, chickens, and rabbits and take a tractor ride through the farm, bounce in the inflatables or choose a pre-picked pumpkin from a hillside to decorate. If you miss the festival, Kelsey Creek offers scheduled tours (for ages 2 and up) year-round with pumpkin patch tours and firsthand experiences with farm chores and crafts. Dates and hours: The Kelsey Creek Farm Fair is Saturday, Oct. 6, 11 a.m.–4 p.m. Check for updates on the Facebook page. The surrounding park and playground are open year-round, dawn to dusk. Farm animals can be seen in the pastures every day from 9:30 a.m. to 3:30 p.m. Location, cost and details: Admission is free, and costs for food and activities vary. Cash only. 410 130 Pl. S.E., Bellevue. On festival day, free shuttle service is available from Wilburton Park and Ride, 720 114 Ave. S.E. and Bannerwood Sports Park, 1630 132nd Ave. S.E. 425-452-7688. Dogs not allowed in barnyard area. Location, cost and details: Patch and corn maze: 27508 W. Valley Hwy N., Kent. Farm Fun Yard: 6720 S 277th St., Kent. 253-854-5692. Call for pricing details. No pets, please! Editor's note: This seasonal article has been updated for 2018.